We are at the heart of a multidisciplinary intellectual community in the University of Oxford where we receive guidance from scholars in an array of subjects. Atif is the Director of the MSc in Major Programme Management at Oxford Saïd Business School, the Cohort Manager of the Major Project Leaders Academy (MPLA) of the UK Government for senior civil servants — a partnership between the Cabinet Office and Oxford — and a Fellow of Keble College. Atif also teaches on the Master in Public Policy (MPP) and the Masters in Business Administration (MBA) and various executive education programmes such as for the Public Accounts Committee (PAC); HM Treasury; and large private companies. His course on disruptive innovations in infrastructure industries is particularly popular among MBA students at Oxford. Atif actively engages with government, industry, and civil society to put his research into action via consulting. He has been a consultant to various departments of Her Majesty’s Government in the UK, the World Bank, the United Nations, McKinsey & Company, PwC, and Fortune 100 and Fortune 500 corporations. In addition, he has been policy advisor to the governments of Ethiopia, Ghana, and state-owned utility companies in Indonesia and Iceland. At the World Bank, Atif's work focused on infrastructure and social development. His work for the private sector has been in the area of project finance in and on improving decision practice and outcomes of capital investment projects. His work is also routinely profiled in media outlets such as the Financial Times, the BBC, the Economist, Wall Street Journal, and the New Yorker. Nihan joined the University of Oxford as a Research Fellow at the Transport Studies Unit in the School of Geography and the Environment in October 2008. In February 2015, she started working as a Departmental Lecturer on the Sustainable Urban Development Masters and Doctoral programme and in January 2017 was appointed as Associate Professor in Sustainable Urban Development. Previously, she worked at the London School of Economics and Political Science (LSE) Public Policy Group. She obtained her doctorate in Economic Geography from the University of Oxford, and her undergraduate and master degrees from the LSE in the areas of Economics and Philosophy and European Political Economy. In addition to working on research projects funded by the European Commission, the UK Research Councils, the Swedish International Development Agency, the British Council and the British Academy, Nihan has held academic awards from Wolfson College, Alan Nesta Ferguson Foundation, and the LSE Award Schemes. She is the winner of the 2015 OECD-ITF Young Researcher of the Year Award and was named as a World Social Science Fellow in Sustainable Urbanisation by the International Social Science Council in 2014. Dr Andreza Aruska de Souza Santos is Lecturer and Director of the Brazilian Studies Centre at the Latin American Centre, University of Oxford. Previously, she was a Post-Doctoral Researcher at Urban Transformations, where her activities included linking Newton funded ESRC cities research projects in Brazil, China, South Africa and India. Having lived, studied, and worked in Brazil, South Africa and India, countries facing fast-paced urbanization, Andreza has experienced cities of the global south that seemed to be always in the making, unmaking, and remaking. Fascinated by the attempt to preserve some city spaces as cultural heritage sites despite the push for urban change, she is now engaged with cultural heritage and urban transformations from an academic and governmental perspective. In her work, she has interacted with universities, international organizations, municipal governments, and grassroots associations. Looking at cities from an international, national and local perspective laid bare the challenges arising when shaping the perception, preservation and transformation of cities in a rapidly urbanising world. Andreza’s research and teaching interests include urban ethnography, cultural heritage, housing, infrastructure, participatory city planning, social memory, Latin America and migration. 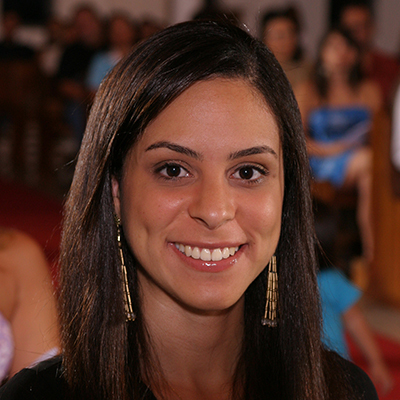 Idalina Baptista is associated with the DPhil and MSc in Sustainable Urban Development. She is a Fellow of Kellogg College, an Associate Fellow of the Oxford Programme for the Future of Cities, an Associate Fellow of the Institute for Science, Innovation and Society, and a member of the Consultative Committee of the African Studies Centre. She is also a Visiting Professor at the School of Architecture and Physical Planning, University Eduardo Mondlane, Mozambique. She has taught on diverse themes relating to urban planning and environmental management at the University of California, Berkeley, the New University of Lisbon, Universidade Aberta, and Universidade Atlântica, in Portugal. 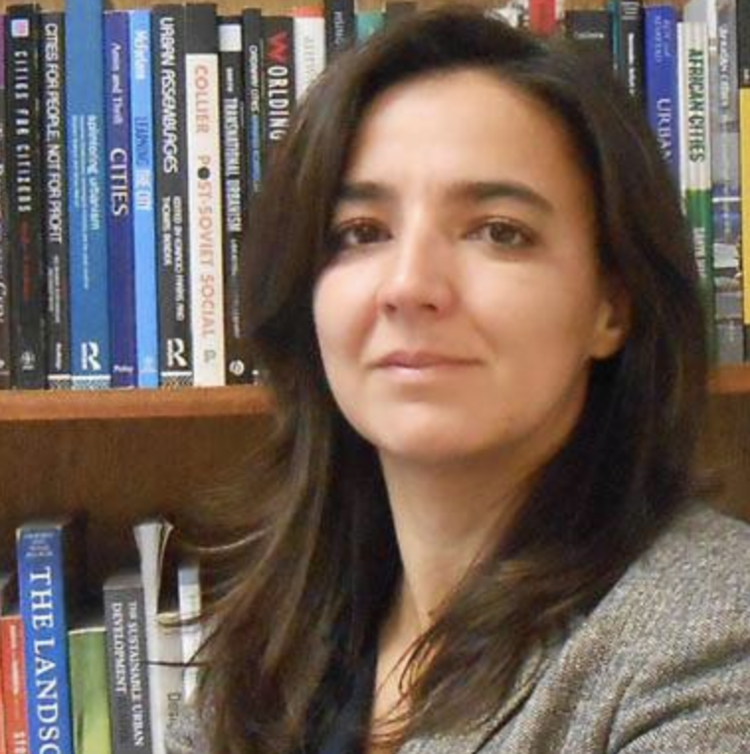 She held a visiting position at the Institute of Social Sciences, University of Lisbon and collaborated with colleagues at the New University of Lisbon on projects involving public participation in urban and environmental planning and policymaking. Her teaching and research are informed by past experience as an environmental planning consultant and as a member of an environmental NGO. Idalina holds a PhD in City and Regional Planning (2009) and a Master of Landscape Architecture (Environmental Planning concentration) (1999) from the University of California, Berkeley, USA, and a 5-year BEng in Environmental Engineering (1996) from the New University of Lisbon, Portugal. Dr Radhika Khosla is the Research Director of the Oxford India Centre for Sustainable Development at Somerville College, and a Senior Researcher at the Smith School of Enterprise and Environment, School of Geography and the Environment, at the University of Oxford. She works on the linkages between energy and climate change in rapidly urbanizing environments, and the two foci of her research are: urban energy demand and consumption; and the mainstreaming of climate actions into local development processes in cities. Her broader research examines how countries and cities in transition can effectively manage and meet their energy, economic and environmental objectives. Radhika’s other current affiliations are at the MIT Energy Initiative (USA) and the Centre for Policy Research (India). Previously, she has been a Fellow at the Centre for Policy Research in New Delhi, where she worked on the analytic and strategic dimensions of India’s energy and climate policies, with a focus on the technological, institutional and behavioural aspects of energy use and its lock-in to a rapidly growing built environment. She has also been a Staff Scientist at the Natural Resources Defense Council (NRDC) in New York where she helped set up the organization’s work on clean energy and climate change in India and led research and implementation on building energy policies in Indian states. Her other affiliations include the Kleinman Center for Energy Policy, and the Center for Advanced Study of India, at the University of Pennsylvania; NRDC’s Center for Market Innovation in New York; and The Energy and Research Institute in New Delhi. Since 2011 he has been Chief Economist of the Department of International Development (DFID), the government department in charge with the UK’s aid policy and spending. Stefan continues to hold the post of Chief Economist at the DFID while remaining active in teaching and research at Oxford. Between 2000 and 2002 he was Programme Director at the World Institute of Development Economics (WIDER), United Nations University where he led their research programme on “Insurance against Poverty”. Prior to this between 1993 and 2000 he was a Tenured Professor of Development Economics at the Katholieke Universiteit Leuven, Belgium. Until he joined DFID, Stefan was also the Lead Academic for the Ethiopia country programme at the International Growth Centre, which is a research centre based jointly at The London School of Economics and Political Science and the University of Oxford. Stefan is a development economist applying microeconomics and statistics to problems of development. His interests are diverse, including research on risk and poverty, the foundations of growth in poor societies, agriculture and rural institutions, migration, political economy, childhood poverty, social and geographic mobility, micro-insurance, and measurement issues related to poverty and vulnerability. Doug Gollin’s research focusses on economic development and growth, with particular interests in agriculture and structural transformation. His work brings a general equilibrium perspective to issues such as: sectoral differences in productivity; the impacts of agricultural technologies; the role of transport costs in shaping spatial patterns of development; the importance of small firms and self employment in poor countries; and the macroeconomic effects of disease. Doug Gollin joined Oxford in October 2012 after spending 16 years on the faculty of Williams College in the United States, where he retains an affiliation. He is a visiting fellow at the Yale School of Forestry and Environmental Studies. He chairs the Standing Panel on Impact Assessment of the CGIAR, a consortium of international agricultural research organisations. He also works with the International Growth Centre and a number of NGOs involved in policy-oriented research on development. He is currently a Managing Editor of the Journal of African Economies and an Associate Editor for the Journal of Development Economics and Oxford Development Studies. 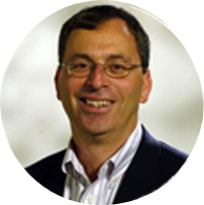 Doug Gollin holds an AB degree from Harvard University and an MA from Yale University. He received his PhD in economics from the University of Minnesota in 1996. Originally from Dublin, Neave is currently a Research Fellow at the Mathematical Institute at the University of Oxford where she leads the development of a new research programme on Urban Dynamics and Policy. Her work focuses on studying the processes underlying economic development and the emergence of complexity for cities, often using tools from graph theory and network science. She was previously a Fulbright Scholar and Postdoctoral Research Fellow at the Center for International Development (CID) at the Harvard Kennedy School (2013-16). During her time at CID she worked on a wide range on topics and projects. These included studies on the relationship between rates of labour informality and city size, quantifying the relative impact of agglomeration effects (Marshallian channels) on individual industries, and international trade patterns. At the frontier of evidence-based data-driven policy tools, she was also extensively involved in development of the Colombian and Mexican Atlas’. These web-based modelling tools enable policy-makers to visualise the industrial or economic structure of a city or region, and explore future diversification opportunities. She completed my PhD (mathematics) at Imperial College in 2013 where she focused on the intersection between network structure or topology, and dynamics. In particular, she explored the properties of a combinatoric graph partition, the External Equitable Partition, and it’s connection to Laplacian dynamics (from consensus to non-linear oscillators and synchronisation phenomenon) and invariance. Further work focused on the fast decentralised solution of large linear systems (akin to Google’s PageRank). She is also founder and Editor in Chief of Angle – a journal based at Imperial College focusing on the intersection of policy, politics and science – since 2009. Lead by an editorial team of approx. 10 young academics and professionals, Angle aims to enable both scientists and policy-makers to share their unique perspective on today’s most pressing global challenges.